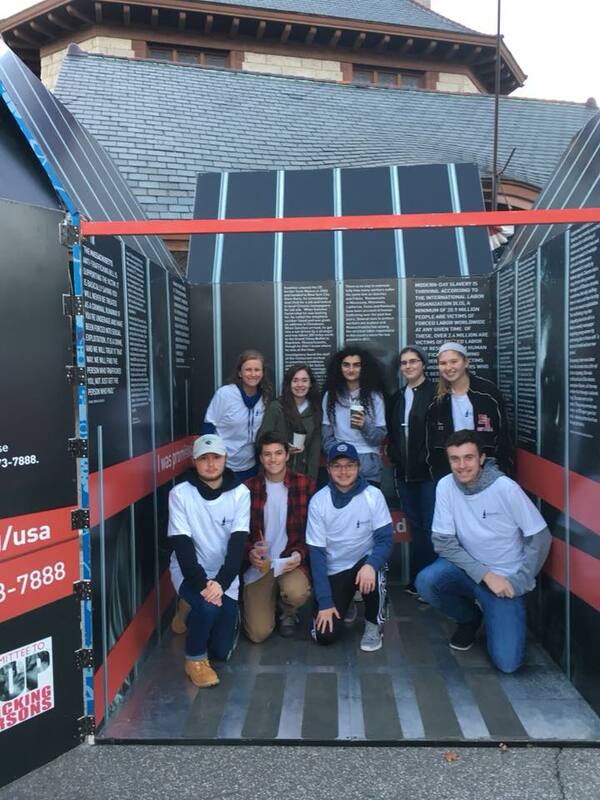 In partnership with Stop the Traffik USA and the United Nations Global Initiative to Fight Human Trafficking, the Freedom Café oversees the management and placement of the New England GIFT Box. The GIFT box is a walk-in piece of public art, symbolizing the way in which human traffickers entice their victims with false promises. The outside of the box offers the “gift” of opportunity and a better life. Bright and beguiling, people can’t help but be intrigued. Inside guests are presented with a three dimensional, thought-provoking and interactive experience that introduces the stories of three local survivors of human trafficking. Initially launched at the 2012 Olympics in London by STOP THE TRAFFIK and the United Nations Global Initiative to Fight Human Trafficking (UN.GIFT), the GIFT Box seeks to raise large-scale awareness, introduce people to the issue of human trafficking and inspire communities to take action toward a traffic-free world. Despite rain during parts of Pumpkin Fest, our GIFT Box Team shared resources with over 125 people and had important conversations with 71 guests during the two day event. Thank you to The NH Human Trafficking Collaborative Task Force for hosting and to the many sponsors and volunteers who made this event possible. If you are interested in working with us to host a GIFT Box Campaign in your community, fill out the form below and one of our staff members will get back to you.